How about making a hypertufa trough, or Almost Hypertufa. 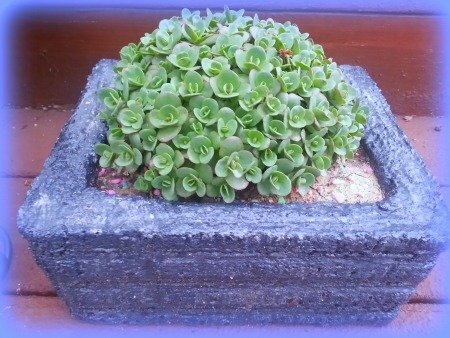 Let’s try making a Styrofoam planter which will look almost like hypertufa. Call it Faux Hypertufa or Almost Hypertufa but you can make one in an afternoon and can plant it by the next day if you like! Sound exciting? 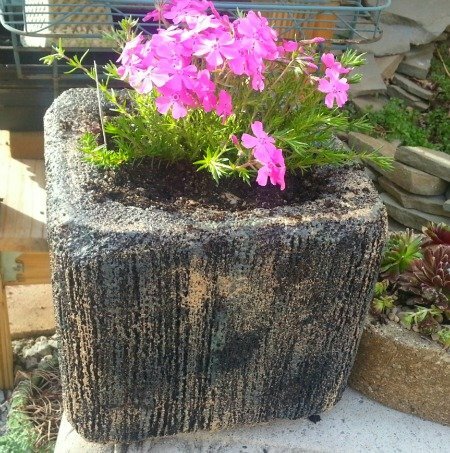 Well, check out these easy directions and you can make a nice garden planter from a discarded Styrofoam box which would otherwise just go to the landfill! Instead, use it in your garden! 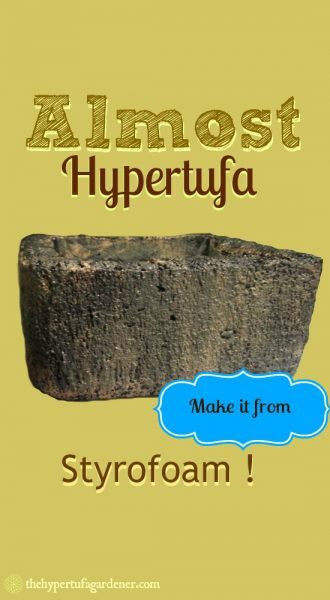 See more posts about making hypertufa pots here. Do you have any old Styrofoam boxes or containers lying around the house? 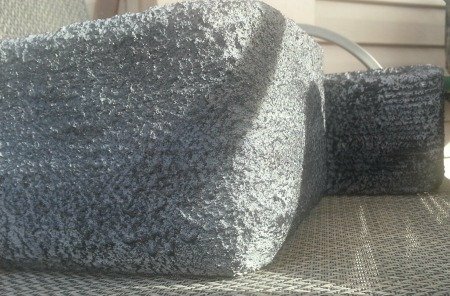 Use those to make a nice “Almost Hypertufa” or “Faux Hypertufa” garden planter which you can decorate to match your favorite colors or co-ordinate with any patio or deck furniture. Maybe you would like to co-ordinate with the pillows, or a favorite blooming hydrangea. You can do that! These outdoor planters are great, but they can be used indoors too. 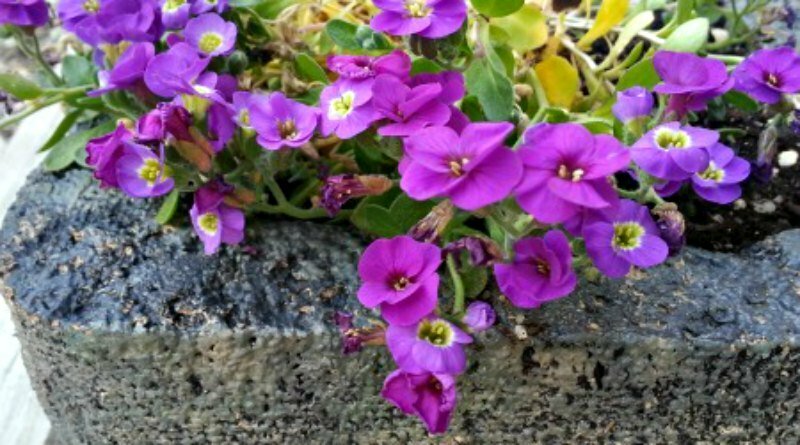 Over-wintering indoors in easier when a plant’s container is easily transported and these are lighter than the regular hypertufa garden planters. I have previously planted many of my tender succulents planted in these so that I can bring them indoors during the coldest part of the year. But they are easily brought back out in the spring when everything has warmed up again. It would be hard to do that for larger hypertufa planters and troughs. And forget it with a large concrete planter! I have the full directions here on this page. There are step by step directions there for you to follow. These are some of the Almost Hypertufa garden planters that I made these past years. Most of these containers are medium- sized, some about the size of a 1-foot cube. Others are more of a flat 18″ rectangle. And these planters have been out in the weather, snow and ice and freezing rains, and the plants have done well. I think that the layer of Styrofoam insulation helps the roots because it protects them from some extreme fluctuations in the temperatures. And I like to change my planters around so much, it makes it easier since these planters are so much lighter to carry around. Here are some more examples. I have almost all of mine mortared or painted in neutral colors. But if you would want to go for something a little more striking, go for it! This Faux or Almost Hypertufa is planted with Aubrieta or Rock Cress. This was last spring and I am anxious to see how it will behave next spring. This is planted with a phlox variety. I think it was Phlox subulata ‘McDaniel’s Cushion‘ or Moss phlox. This is an herbaceous sedum called “Lime Zinger”. It has grown really well this year, but is now dormant and died back. I will probably divide in the spring to plant into more containers. 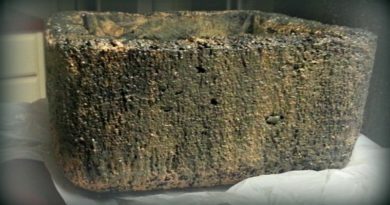 These Almost Hypertufa planters are just coated with mortar mixed with a black latex paint and smudged over with white. The outside feels like concrete, but they are very light. These have been outside in winter snow and ice for the second winter now. They are in great shape and look as if they are newly made. Note: These are not for food crops, please. Check out my page on the making of these great garden planters and if you have any questions or advice for me, let me know!